The values represent average grams of amino acid per 100 grams of edible portion and may vary. Alanine 8.5%, Arginine 7.5%, Aspartic Acid 5.7%, Cystine 0.08%, Glutamic Acid 9.5%, Glycine 22.8%, Histidine 0.77%, Hydroxyproline 13.0%, Hydroxylysine 0.7%, Isoleucine 1.3%, Leucine 2.9%, Lysine 4.2%, Methionine 0.78%, Phenylalanine 2.0%,Proline 13.8%, Serine 3.3%, Threonine 1.9%, Tyrosine 0.4%, Valine 2.4%. 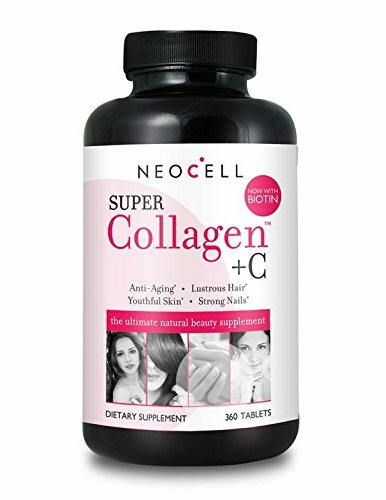 其他成分：Super Collagen™ Type I & IIII derived from 100% pure pharmaceutical food grade collagen, Vitamin C (as calcium ascorbate) and may contain magnesium stearate. Contains no sucrose, starch, yeast, wheat, corn, cholesterol, fat, or dairy products.